A Jumbo Philly Cheese Steak plus our famous Philly Hoagie, a pack of Tastykake Chocolate Cup Cakes, a pack of Tastykake Butterscotch Krimpets, Goldenberg Peanut Chews and two Philly Soft Pretzels. NOTE: Peppers are sent on the side; please specify your preference. Sent to my son in WI. Great food and service. 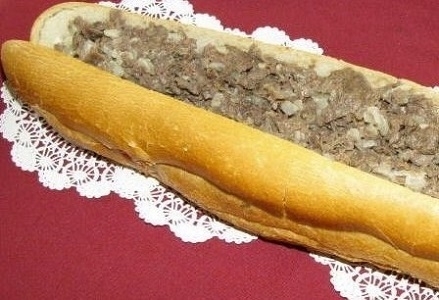 Forget Subway and the other imitators; these are real Philly hoagies. Everything that I ordered was delivered to my recipient. Everything was fresh and delicious! Everyone enjoyed every morsel! Joe Kubicky was extremely helpful and eager to please me. Everything was delicious and arrived as requested! Will order from you again! I sent a package to people in Texas who had been so kind to me on my visit there.